Dortmund - Six months can be a long time in football. Just ask Borussia Dortmund, who are currently proving week by week how things can change from one season to the next. The Westphalians' 3-1 win over Hertha Berlin on Sunday took Thomas Tuchel's men to the top of the Bundesliga heading into the two-week hiatus due to internationals. It is a far cry from where they were just half a year ago, when they were propping up the rest of the division. Counting their UEFA Europa League qualifiers and DFB Cup first-round tie, BVB have won eight games out of eight since Tuchel picked up the reins in the summer, and there is no sign of the bubble bursting. Dortmund are playing with the confidence and congeniality of the team which won the Bundesliga in 2011 and 2012, and success after success is breeding their newfound confidence. "It was really important for us to start the season well and we've managed that, but we've got to carry on taking each game as it comes," said Shinji Kagawa to bundesliga.com. 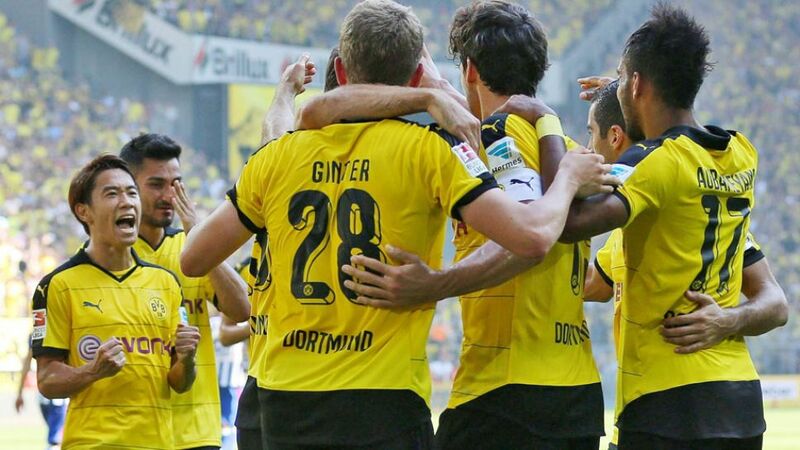 The Japanese winger is emblematic of BVB's recent resurgence. His best form has returned, and so too has a smile on his face. "I'm enjoying myself a lot. I'm learning lots of new things all the time and it's really fulfilling for me. When we're so flexible in the way we combine and work together up front, then we can dominate our opponents."